Golden Globe Awards ~ Could Julianne Moore win TWO Globes tonight? Could Hollywood vet Julianne Moore actually pull a Kate Winslet and win TWO Golden Globes tonight? 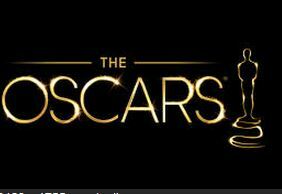 One for Best Actress Drama for “Still Alice” for her heart-breaking turn as an early-onset Alzheimer’s patient? 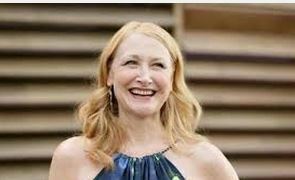 And one for Best Actress~ Comedy/Musical for a neurotic, washed-up, pill-popping Hollywood actress in David Croneberg’s “Maps to the Stars”? It COULD happen! The Hollywood Foreign Press like to make headlines and get as much international attention as possible. And a photo of Julianne with TWO Globes would make sure it’s a front-page Photo Op seen ’round the world, as Kate Winslet’s unforgettable shot holding dual Globes aloft? One in each, heaven-ward held hand in a strapless blue ball gown? Sometimes I hear things, Oscar-wise I mean. And I try to talk to as many members of the Academy that will speak to me about this. So here’s the skinny. Whether I wanted to hear it or not. “Boyhood,” a film I frankly didn’t like, is WAAAAAAAAAAY out in front. So this is as an objective opinion as you’re gonna hear on this blog. I hoped this wouldn’t be true, wouldn’t be the case. But it seems it is. Despite IFC(the distributor)’s notorious lack of experience in landing an Oscar winner, “Boyhood”, like the film itself is out- lasting everything else so far. And another funny thing. Patricia Arquette’s performance as the mother of the boy in question is the one female acting performance that is being discussed. She STILL could end up in the Best Actress category, not Supporting, if the Academy voters write her name down in that, the leading spot. But it’s early days still.”Still Alice” and others have yet to hit the Academy’s radar, which always gets things LAST.The Academy has its’ own screenings for these films, remember. And reviews count for a lot. And box-office for even more. If a film that is open and out in the world already isn’t really doing all that well, like for instance, “Whiplash”, it hurts its’ Oscar chances. Which in the Supporting Actor category, is its’ J.K.Simmons. All the acclaim means a nomination but not necessarily a win. More likely so far, as I’ve already noted is Edward Norton’s flamboyant turn in “Birdman,” but what happens if it, too, disappoints or flops, as it goes wide? However, they WANT to give Michael Keaton an Oscar, no matter how many reservations this quirky film has with voters.It’s very negatory of big blockbuster films and LURVS the theater and New York, New York. Hwood isn’t a theater town.IT’s where they MAKE block-buster, comic-book hero films. Those people could be insulted or maybe not. They may think “Birdman” is dead on. 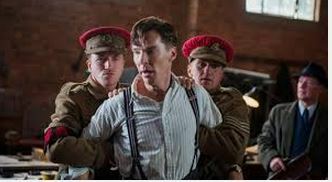 However, it’s insular quirkiness could lead to box-office falling off(A friend reported seeing it in a theater that only contained 12 audience members)could let Eddie Redmayne take the prize. He’s constantly being compared to Daniel Day-Lewis in “My Left Foot” and look what happened with that small British film! “Instellar” has gotten trashed by the very critics whose support it needed stateside, but in the U.K. they loved it. But the U.K. isn’t where most Academy voters live. It’s here. And particularly in Los Angeles. Well, “Maps to the Stars” which I saw yesterday at TIFF was hyped as an Oscar possibility. Best Picture and down the line, but after seeing it yesterday at a P&I screening I have to say, it’s over. But the denouement, which I won’t reveal here, is something the Academy just won’t stand for, and may not even nominate poor Moore,even in Supporting… Is the Academy going to nominate a performance by a poor actress who has a scene on the toilet where she has to pee and fart at the same time? I think not. But Moore is magnetic and ultimately tragic, and she did win the Best Actress Award at Cannes this year for this abortion…but…peeing and farting…? WTF? When there are people to nominate in Supporting, like Patricia Arquette and Dame Maggie Smith, I think not. There is also a Justin Bieber-like character in this, but really, his character and plot-like are pointless…All I can say is David Cronenberg has done “it” again. And again, I’m typing this from the unbelievably quiet press room, where the only sound is typing. And the television broadcasting “The Judge”s press conference behind me on a large screen, but I’m not watching it. More soon, I am so sure. Live, more or less, from Toronto. The Cannes Film Festival was never to my mind a great Oscar predictor. But nevertheless there are those that think it has become more relevant of late. I don’t think any of the below named winners are gonna repeat at the Oscar nominations when they are announced in January. EXCEPT for Bennett Miller, who was named Best Director for “Foxcatcher”, the one American film from Cannes that seemed to emerge by all accounts as a legitimate Oscar contender. However, none of its’ three leads, Steve Carrell (yes, STEVE CARRELL, giving his first serious acting performance) as the murderous wrestling obsessed millionaire Henry DuPont, Channing Tatum and Mark Ruffalo, who received great praise from press and critics alike were not awarded. But don’t worry. Placed firmly in the middle of the Oscar surge season, opening stateside on Nov.17, it is SURELY the one film that is going to be heavy figured into the Oscar conversation. Sony Pictures Classics is releasing it, and they could have done so last year. But the Best Actor race was so crowded they decided to wait til this year, which may have been a wise move. A dark tale of obsession, murder, money and wrestling, it seems like Academy catnip to me. Best Actress went to Julianne Moore, for David Cronenberg’s Hollywood tale “Maps to the Stars” which is opening very soon in the U.S. Moore plays an aging Hollywood actress, who is on the verge of losing it. Moore is an Academy fave being nominated numerous times, but has never won. You can never count her out. She is well-liked by all in the industry. Best Actor is British thesp Timothy Spall, who plays the title role of Brit painted extraordinaire J.M.V.Turner In Mike Leigh’s “Mr. Turner” Spall is a well-respected veteran actor who has never been nominated or won. I’m looking forward to seeing this film, too, when it opens in the fall. 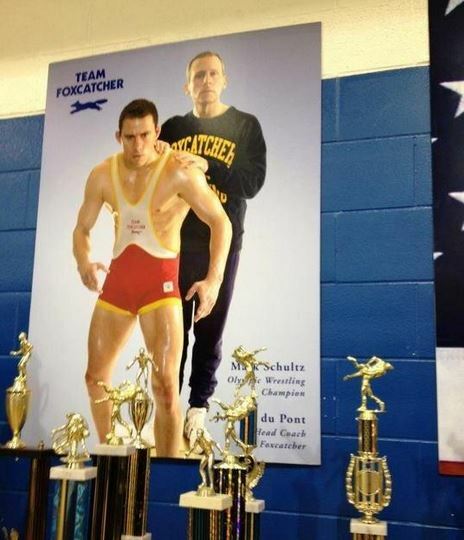 It will probably also play Toronto as will “Foxcatcher” most likely. So I’ll see them there. I was burned very badly in the past when I enthusiastically supported other Mike Leigh performers. Leslie Manville in particular for the last Mike Leigh joint “Another Year” in 2010. She didn’t even get nominated. But Spall is better known here, might have a better shot. We’ll see. And ma Cherie Marion Cotillard, once again got nothing. I always feel Cannes doesn’t appreciate her, unbelievably, though I of course do. Marion’s film in contention was “Two Days, One Night” by the Dardennes brothers.